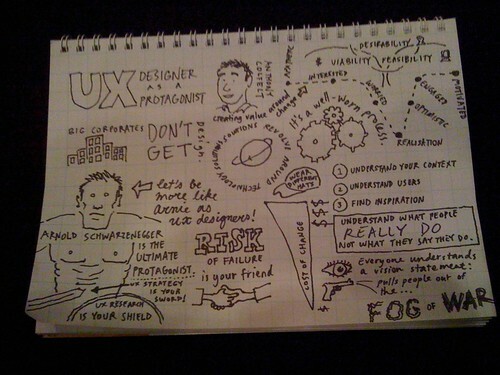 Today I attended the first day of the UX Australia conference here in Melbourne, of which SitePoint is a media partner. 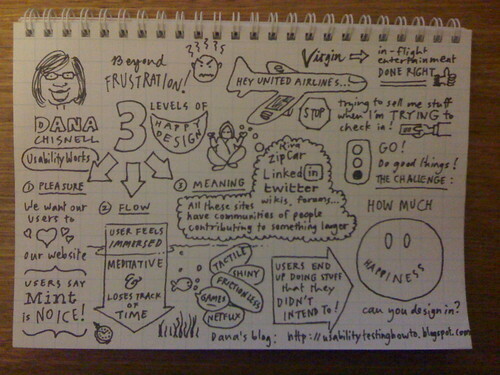 Rather than summarise the day or paraphrase one of the stand-out presentations, I decided to do something different — I tried my hand at sketchnoting some of the talks, using the black Sharpie pen and notepad provided in the conference bag. 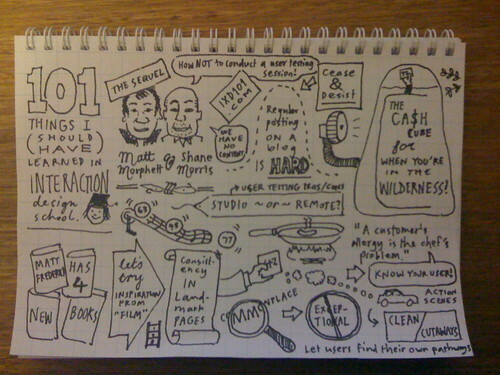 Sketchnoting is a form of note-taking that I first saw demonstrated by Matt Balara at the same conference last year. 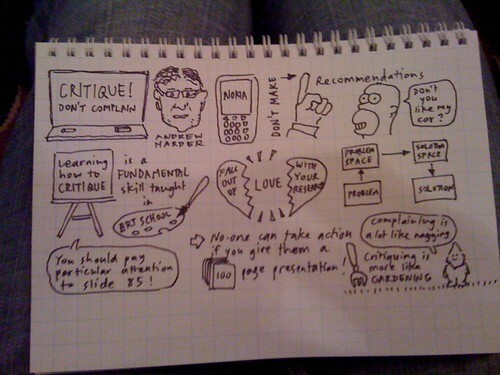 The technique combines key points from a presentation, presented in a visually interesting and embellished fashion. As my first attempt, I felt fortunate that the structure and content of so many of the presentations was of such a high quality (and that so many presenters had interesting faces for me to capture!). Click on each image to view a larger version. 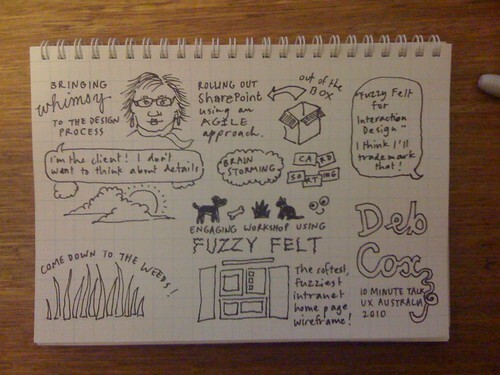 I found the experience of sketchnoting extremely enjoyable — not only did I feel like I’d absorbed more of the speaker’s content than I would have otherwise, but I also found it helpful as a technique for remaining engaged in the later parts of the day when normally I might find myself zoning out (or, dare I admit it, nodding off!) 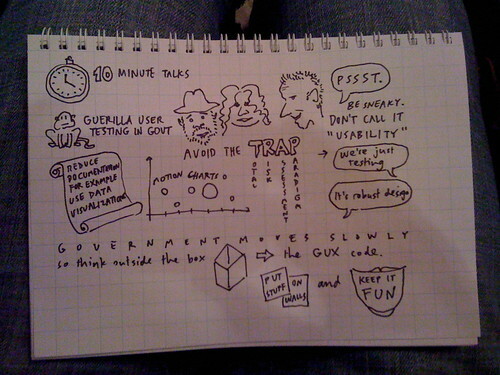 Of course, the fact that I stayed interested is more likely due to the high quality of the speakers. 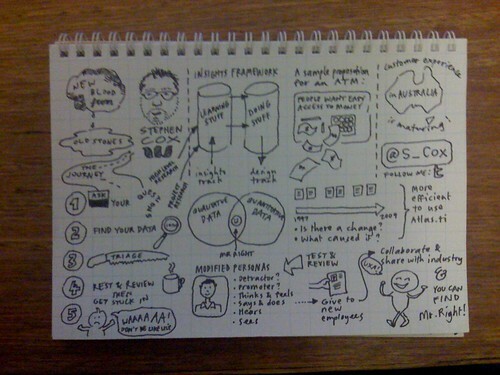 At any rate, I look forward to Day 2, and to sharing my sketchnotes with you! How did I do? 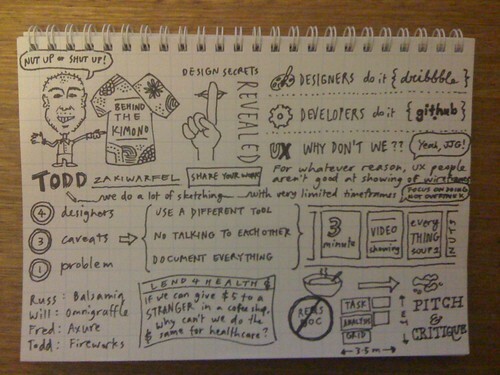 Have you tried sketchnoting at a conference? If so, share your notes in the comments!